So far in this series, we’ve covered content analysis and creation. But how do you foster your student’s authentic voice and empower your students to tell their stories through digital media? For this episode, we’ve gone to one of public media’s most powerful personal storytelling platforms: The Moth Radio Hour. A favorite of hipsters (think Lena Dunham) and grandparents alike, The Moth is a movement: ‘True Stories, Told Live.’ It started in a living room. But, through local story slams, international fellowship programs, student outreach, podcasts and public radio, millions of listeners tune in weekly to relate to the stories of ordinary, yet extraordinary, stories and storytellers. In the final session of our three part PBS “Live Learning” experience: Empowering Young Media Consumers and Creators, we’ll be joined by The Moth storytelling expert, Micaela Blei. Blei is a teacher, writer, storyteller and PhD student, who, until recently, was Director of Education and Community Engagement at the Moth where she worked with teachers and students to cultivate their stories. Prior to coming to the Moth, she was a third grade classroom teacher. 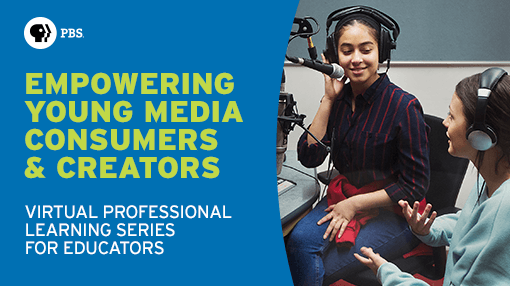 Blei will join our PBS Digital Innovator All Star hosts, Joquetta Johnson and Steven Auslander, to talk about effective storytelling, and to highlight exciting resources and models that you can immediately implement in your classroom. PBS will provide a certificate of attendance for each one hour virtual professional learning event. Micaela Blei, PhD, is a two-time Moth GrandSLAM winner, former Director of Education at The Moth, and former classroom teacher in Brooklyn, NY. Her solo show, The Secret Life of Your Third Grade Teacher, is returning to NYC stages in Spring 2019. Find out more and get in touch at micaelablei.com. Micaela Blei, PhD, is a two-time Moth GrandSLAM winner, former Director of Education at The Moth, and former third grade teacher who teaches storytelling in Brooklyn, NY. 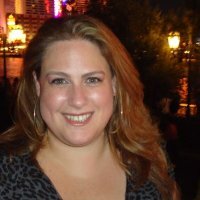 She has her doctorate in Education from NYU, where she researched storytelling and teacher identity. She is the creator of two solo storytelling shows: “City of Islands,” a dystopian fantasy for children, and “The Secret Life of Your Third Grade Teacher,” a true storytelling show for grownups, which she’s adapting into a book. Her most valued creative partner is currently her 9-year-old niece, Ramona, with whom she makes short comedy films. Find out more and get in touch at micaelablei.com. Joquetta “The Digital D.I.V.A.” Johnson is high school library media specialist with the Baltimore County Public Schools. She is a national presenter and knowledge broker with more than 20 years of experience in librarianship, instructional technology, K-12, and post-secondary education. Known for her passion-driven and energetic presentation style, she inspires educators and leaders to “think, teach, and lead as if, there is no box.” As a teacher for social justice, Joquetta’s favorite part of the job is leveraging technology and culturally relevant pedagogy to excite, engage, empower, and enable ALL learners to meet academic success and to pursue their interests. Joquetta is currently pursuing her doctoral degree in curriculum and teaching at Nova Southeastern University. A foodie, Zumba enthusiast, and binge-watcher, Joquetta enjoys spending time with family, friends, and her rescued Shih -Tzu, Butterscotch. Follow Joquetta on Twitter, @accordin2jo. Steve Auslander is a 5th grade educator at Allisonville Elementary School. Steve is passionate about integrating engaging technology in the classroom as a means for students to create to show what they know, and to connect his students to other classrooms and people around the world. Steve is a Skype Master Teacher, Microsoft Innovative Educator Expert, PBS Digital Innovator, Class Dojo Ambassador, Imagination Foundation Ambassador, and an Indiana University Jacobs Educator. Follow Steve on Twitter, @sauslander.